Sandra Dyche currently serves as a Managing Principal of CapSpan, a New York-based investment management, financing and project sourcing firm involved in top-grade EB-5 projects across the US. EB-5 is a United States Citizenship and Immigration Services (USCIS) program that offers a streamlined process for immigrant investors wishing to obtain residency (a “green card”) in exchange for a minimum $500,000 at-risk capital investment in an American firm or project that produces American jobs. Sandra Dyche is also a Financing Partner and on the Board of Directors of Premiere Capital Group. 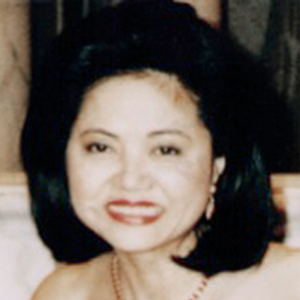 Born in South Korea but now a naturalized American citizen, Sandra Dyche was previously a business partner with her late husband, William Edmond Dyche, of Houston, Texas. Mr. Dyche was a founder and senior partner of Dyche & Wright Attorneys at Law and also founded Houston First Savings Association, with over 60 branches in Houston, Dallas and Austin. William and Sandra Dyche financed and developed approximately 2,000 acres of commercial and residential development known as the Mission Bend Project near Houston. In 1988, Sandra Dyche endowed a Presidential Scholarship in Law at the University of Texas Law School Foundation. In 1984, Sandra Dyche organized and co-founded the Park National Bank of Houston, Texas. In 1982, Sandra Dyche was named to the advisory board of directors of Chemical Bank & Trust Co., an affiliate of J. P. Morgan Chase in Houston. Sandra Dyche lives in New York City and is fluent in English and Korean. Before assuming the role of Managing Principal of CapSpan in New York, Sandra Dyche was a Co-founder and Principal of New York City Regional Center, which under her leadership gained recognition as the most successful EB-5 Regional Center in the United States, raising foreign investor capital for conversion into large scale real estate project in conjunction with New York City government agencies and/or established real estate developers. Sandra Dyche participated in the financing of The Atalanta, a 130,000 square foot warehouse converted into a residential condominium in Lower Manhattan and a model of urban renewal. As a result of her years of experience, Sandra Dyche has gained a great deal of expertise with the EB-5 investment program, helping foreign investors navigate the myriad federal regulations required in order to gain compliance with the program. This includes determining exactly what type of investment is acceptable, structuring it properly, dealing with EB-5 investor’s petition filings (specifically Forms i-526 and i-829) and determining the types of job creation required to participate in the program (direct and indirect jobs). Her familiarity with Asian cultures and languages has also been an invaluable asset in this work. In her role as a Financing Partner and member of the Board of Directors of Premiere Capital Group, Sandra Dyche has led in such projects as an Oklahoma power generation plant using natural gas, a cutting edge technology. In addition to her background in resource and real estate development, Sandra Dyche was the Owner and Chairperson of Hasca of America, establishing the exclusive license to market the advanced high-tech ceramics and abrasives of Feldmühle of Germany. Sandra Dyche oversaw Feldmühle exclusive product distribution in the United States, South Korea, Singapore, Taiwan and Japan.